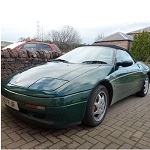 Lotus Elan Central • View topic - HELP - keys locked in boot!!! HELP - keys locked in boot!!! 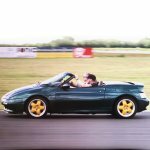 Re: HELP - keys locked in boot!!! GeoffSmith wrote: Unfortunately it does not work on the S2. Not sure of the procedure on here but I locked my keys in my S2 a couple weeks ago and got them out okay, took a bit of head scratching but quite easy once I worked it out. May just have been lucky though as everything came apart without issue. but anyone else please dive in . i didn't have the right bits to look at in the garage and car is being resprayed . i hope someone else can shed some light on it ..
email sent to address you used to register. Brit-Car-Nut wrote: email sent to address you used to register. Solution to "Keys locked in boot" is simple.... just carry a spare - this is where I keep mine.. If mine is locked, opening the boot with the spare key will set the alarm off, until I find the key fob to switch it off, so don't see the spare key as a threat to security of the car as the car is also immobilized without the fob. Hi, can someone please send me a PM on how to open the boot as I've been a bell end and locked the keys inside. Locksmith couldn't open it but managed to get the doors open. It's a 1992 SE. Any help would be appreciated, thanks in advance. Just loaded the boot up with stuff to try to start her car and now can't open the boot could someone pm the procedure please. Can i just add anyone who has knowledge of this not to put it on an open forum ..
Pm the details to nick would be better ..
And somewhere the wiki is an electronic boot release that i fitted to mine years ago . Might be a helpful modification . So i can do the out off USA office hours !